1855/63: 6 d. deep rose-lilac on white paper, used example with mostly large to just clear margins with portion of adjoining stamp at right, used on 1861 cover to Natal endorsed 'per 1st Steamer', tied by weak strike of CGH obliterator in black. 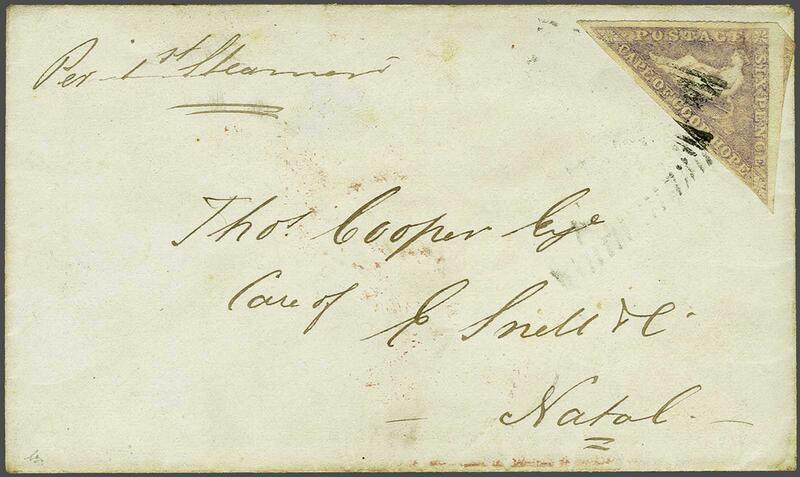 Reverse with oval framed PORT ELIZABETH datestamp in red (June 21). 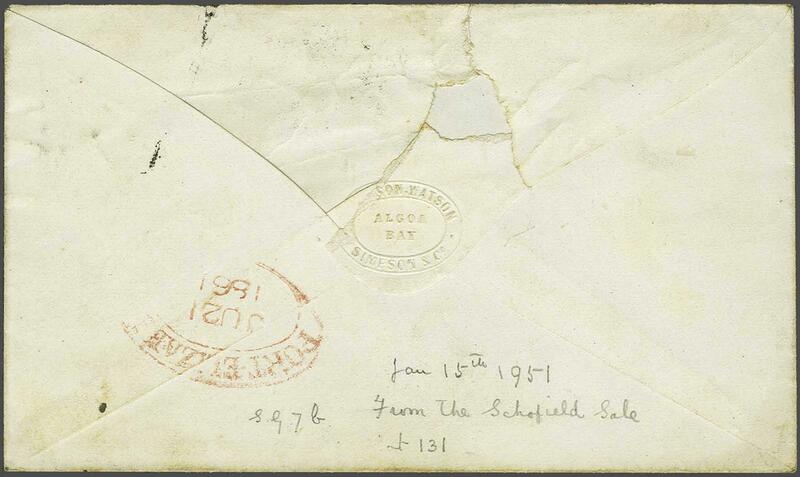 A surprisingly scarce destination for Cape mail of this period.rnrnProvenance: Collection Schofield, Jan 1951, lot 131.